Villanova took home the NCAA men's basketball title Monday after beating Michigan 79 to 62. Wildcats sophomore guard Donte DiVincenzo came off the bench to score 31 points. The thrill of victory and the agony of defeat. The Michigan Wolverines were on the wrong side of that divide Monday night in San Antonio, Texas. 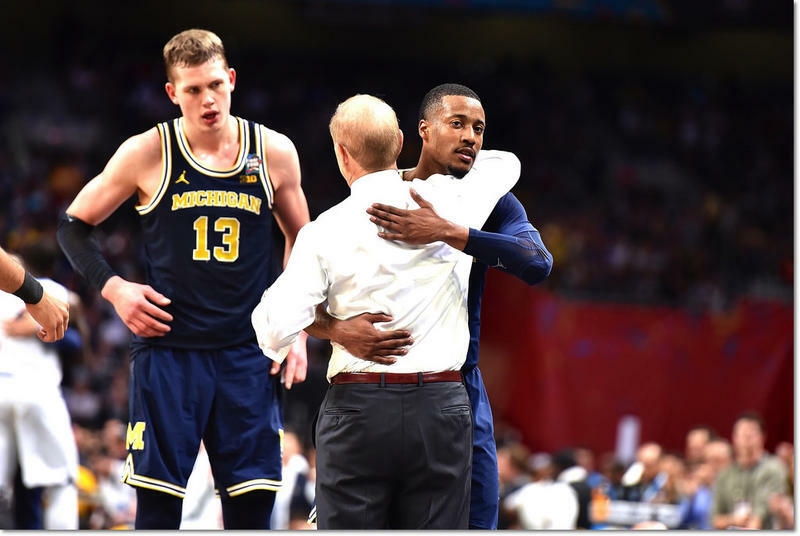 Michigan got off to a strong start in the NCAA men’s basketball title game then the Villanova Wildcats ran away with it. The final score was 79 to 62 and gave Villanova its second national championship in three years. Michigan Radio sports commentator John U. Bacon was at the game. He joined "Morning Edition" host Doug Tribou to talk about what went wrong for U of M.
According to Bacon, it's easy to find the cause of the Wolverines' demise. "One guy: [Donte] DiVincenzo," he said. "Without him, Michigan wins. It's that simple." DiVincenzo, a sophomore guard, came off the bench to score 31 points, adding five rebounds and three asssists. 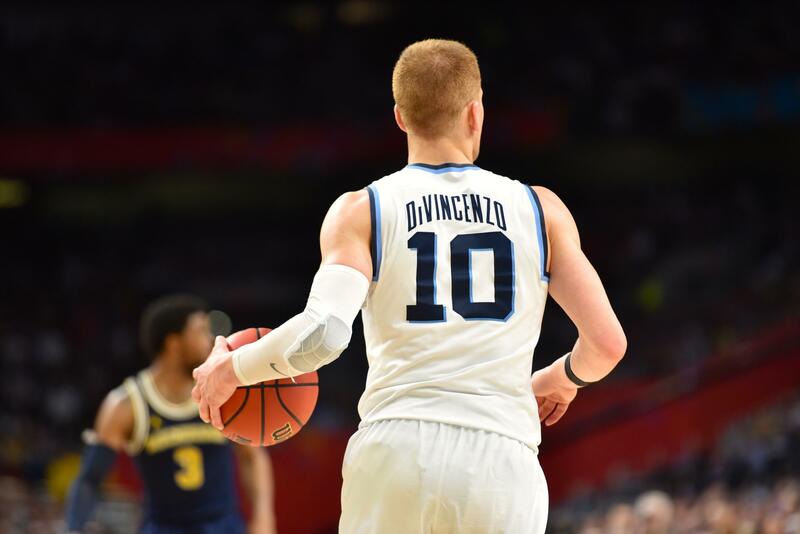 Although DiVincenzo didn't start the game, his performance wasn't a complete surprise. This season the Big East Conference named him its Sixth Man of the Year, an award that honors players who come off the bench. For Michigan, senior guard Muhammad-Ali Abdur-Rahkman lead the scoring with 23 points. 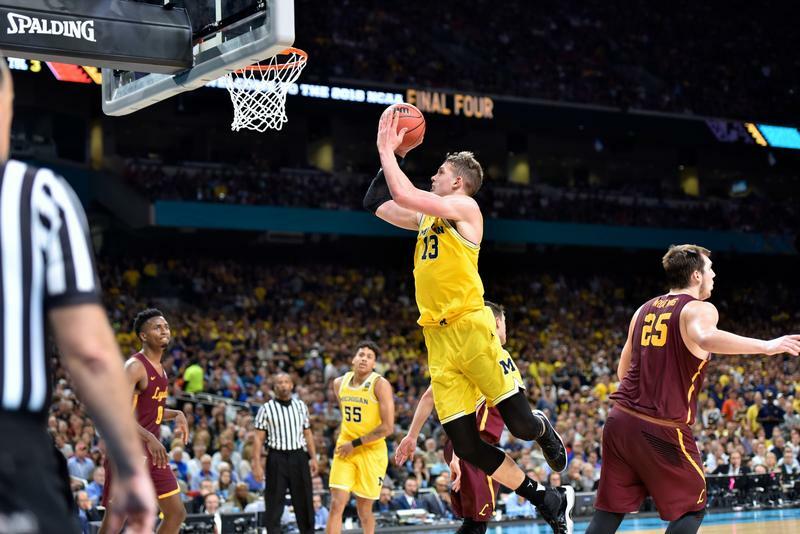 Junior Moe Wagner, who's widely expected to enter the NBA draft next season, had 16 points and seven rebounds. This was the Wolverines' second trip to the title game under coach John Beilein. Michigan lost to Louisville in 2013. Villanova won its second national championship in three years Monday night as it defeated the University of Michigan 79-62 in the NCAA Division I men’s basketball national championship game. 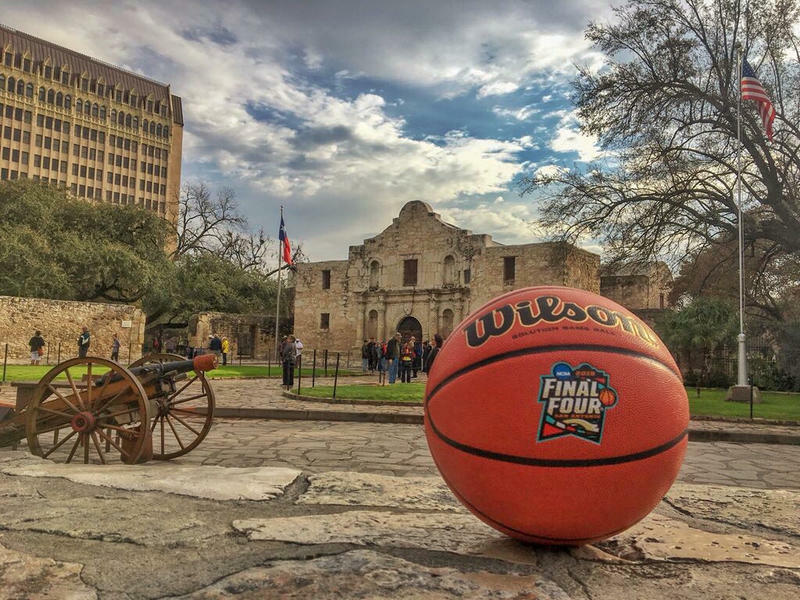 The Michigan Wolverines and the Villanova Wildcats will play for the NCAA men’s basketball championship tonight in San Antonio, Texas. The Wildcats are trying for their second title in three years. The Wolverines are hoping for their first since 1989. Stateside’s conversation with John U. Bacon, Michigan Radio's sports commentator. For the Michigan Wolverines basketball team, it’s on to the championship game. 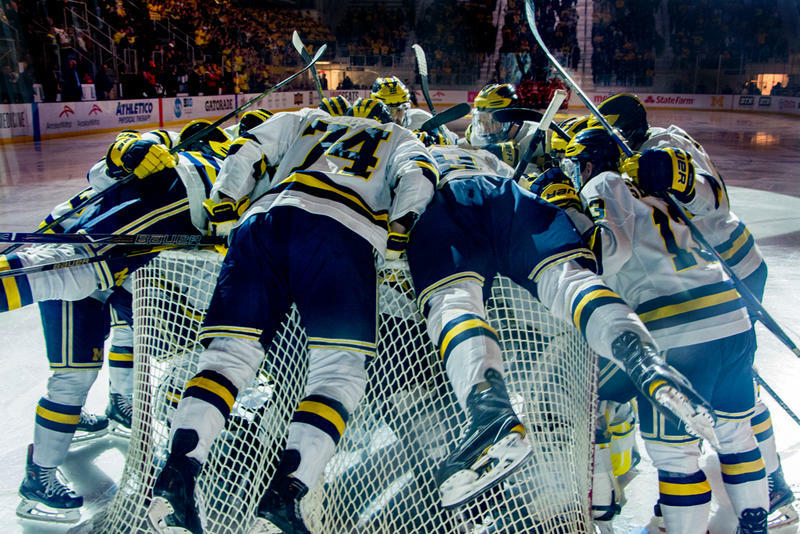 One last game stands between the Wolverines and their first NCAA title since 1989. John U. Bacon, Michigan Radio’s sports commentator, joined Stateside to discuss the Wolverines’ victory over Loyola University Chicago, the challenges ahead against Villanova, and also about Notre Dame’s historic victory in the NCAA women’s championship over the weekend.